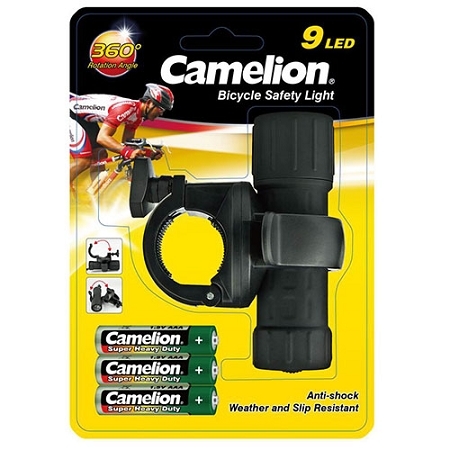 The 9 LED super-bright bicycle safety light is weather and slip resistant, making it great for all biking conditions. 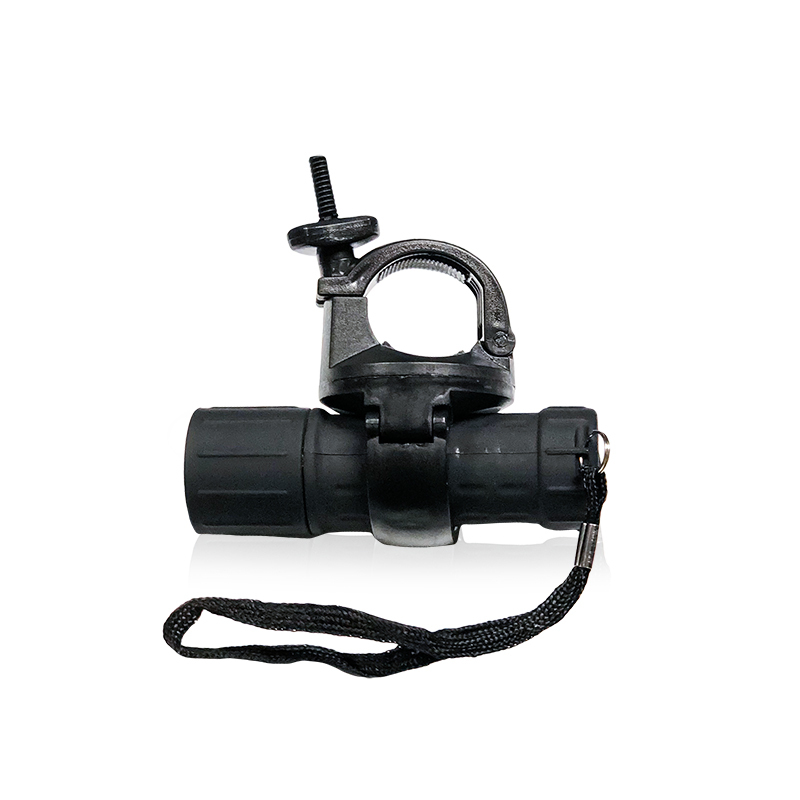 The innovative design of the anti-shock holder allows for 360 degree adjustments. 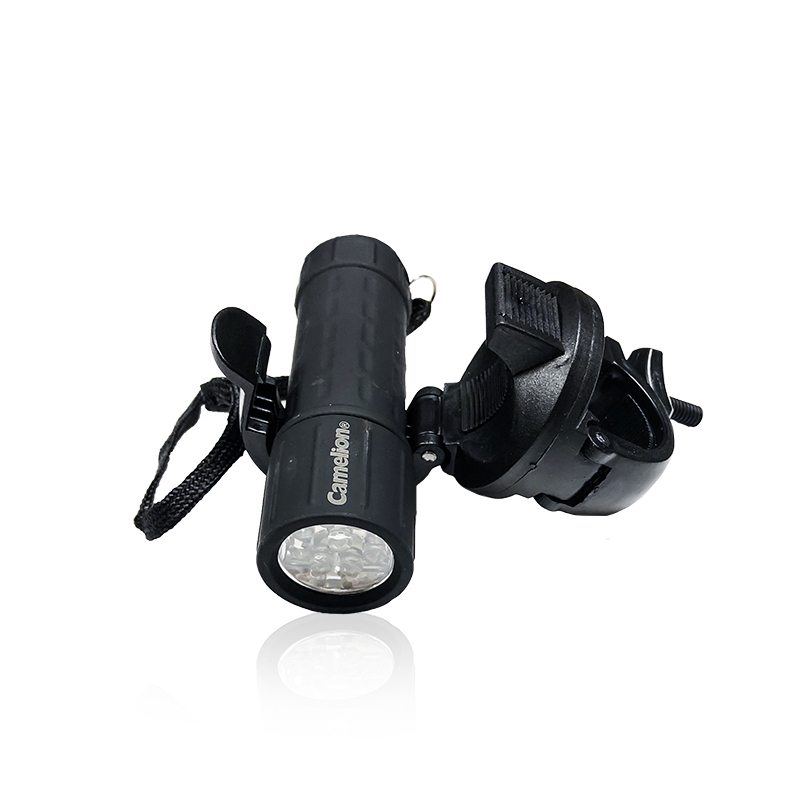 The easy to open snapping holder allows you to quickly and conveniently take the flashlight off the mount for portable use. 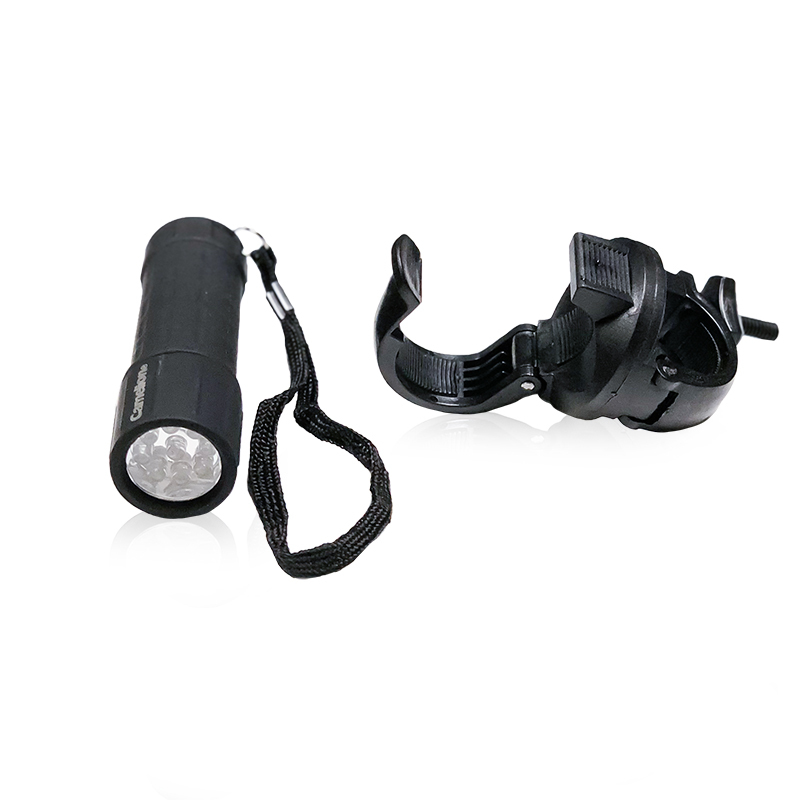 The flashlight includes a convenient wrist strap. Measures 3.75 inches long x 3 inches high (including mount) x 1 inch in diameter. 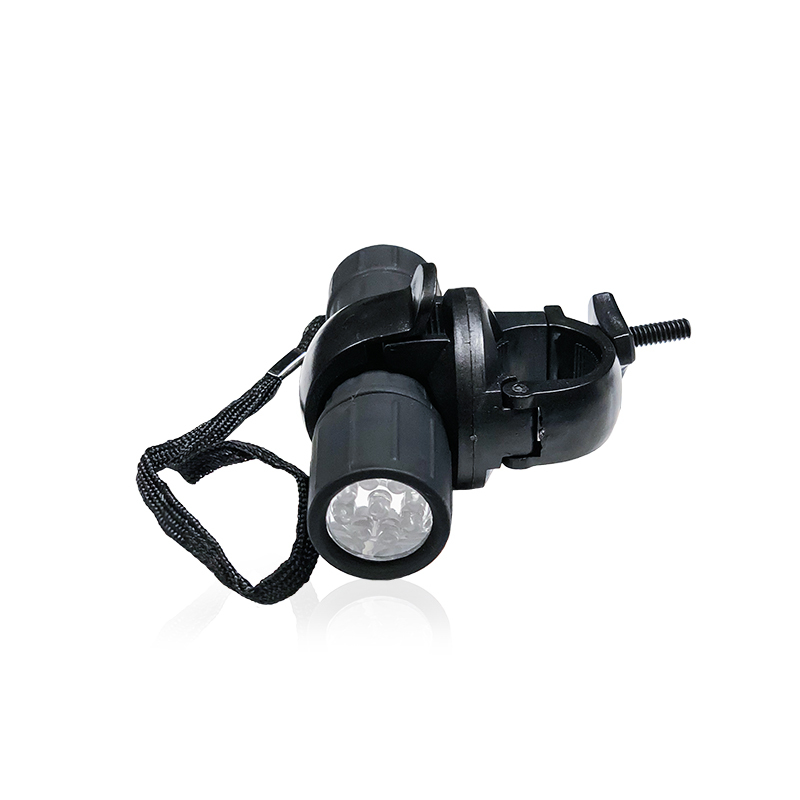 Requires 3 AAA batteries (included).